Want your very own tag cloud? Check out Wordle.net. This is based off CreateAndBreak's RSS feed. Bored of the canned templates? I've used Artisteer as a relatively inexpensive ($50-$130 US) template creation tool that generates templates for popular blog formats. 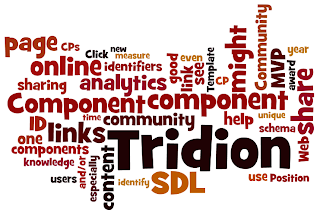 You can even create a plugin if you wanted to say, generate DWT and Tridion templates with it. Stuck on a topic? Start a post, save it, and come back later. Feeling emotional? Happy, pissed off, or like you did something awesome? There's a good topic there. Don't post if you're really upset though. Anonymize appropriately and you have something that can span one, two, or maybe five posts. Make a template in your blog. 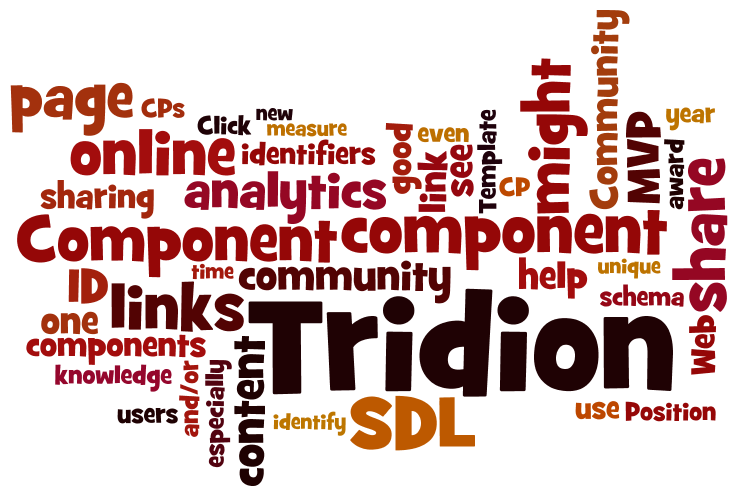 Welcome the New SDL Tridion Community MVPs!